We know, easier said that done (especially with your wedding coming up). This might mean joining a yoga class or downloading a trusty meditation app. Trust us, you hair, skin, and nails will thank you later. We recommend putting together a Wedding Planning Timeline that works with everything else that's already going on in your life so you can plan ahead and avoid stressful planning moments. Did you know offer personalized Wedding Planning Timelines?! We also can't stress enough the importance of hiring a professional for things you don't have time to do yourself. Wedding planning can be a full-time job, so let us take care of it for you. Seriously! When we sleep, it's the only time our brain can repair and reorganize. The relaxed breathing state during sleep reduces stress by calming our central nervous system. On top of that, we produce the highest amounts of natural human growth hormone while we sleep, which is responsible for regenerating and creating new body tissue cells (and that includes our skin, muscle, & hair). Doing this a year out may seem excessive, but engagement time means photo time all the time. Flawless skin for all your wedding-related activities should be a priority. A skin-care pro can assess your complexion's current state and help you come up with a strategy for achieving your dream-skin goals. Besides, some treatments may take several months. 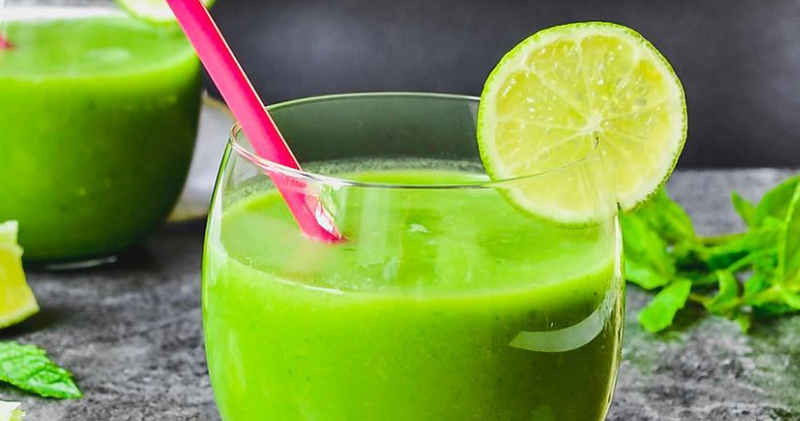 We're not talking drastically cutting calories and following every cleanse you see on Instagram. If you avoid crash dieting before your wedding by starting a fitness and nutrition plan now, you’ll look healthy and glowing on the big day, instead of exhausted and weak. The key isn’t to look a certain way or weigh a certain amount by your wedding, but rather to feel like your healthiest, happiest self. You may not realize that your skincare routine really starts in the shower. This starts with a gentle, sulfate-free cleanser to provide softer, smoother skin. Apply lotion within minutes of towel-drying to lock-in moisture before it evaporates. We also love the effects of dry-brushing a few times per week before your shower. Not only is it exfoliating, but increases both lymph and blood circulation. We know this might not be for everyone and does require 9-12 months of sessions for effective results, but your wedding (and honeymoon!) are a perfect reason to treat yourself to laser hair removal. Is it a splurge? Yes. Will it be so worth it when shaving is the last thing on your mind? Yes. Find a reputable aesthetician you trust. In your initial meeting, make sure you address your goals, needs, and any skin concerns you might have. 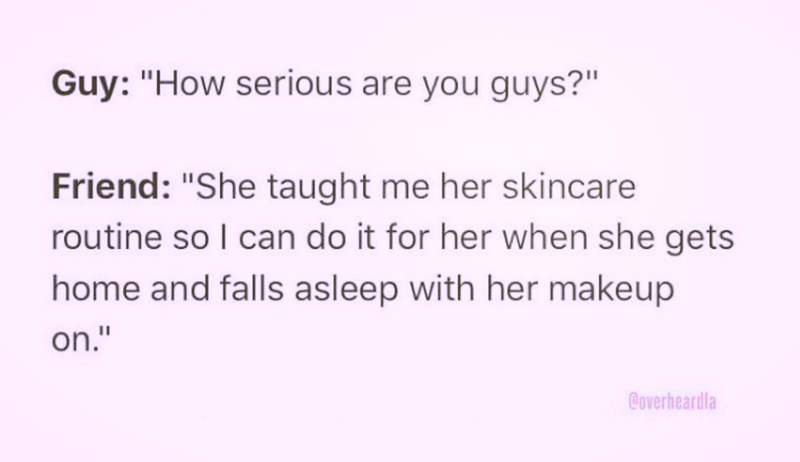 If you aren't used to getting regular facials, we don't recommend going overboard on this. As everyone's skin is so different, experiencing flare-ups like breakouts or redness is normal. Your dermatologist can help make a recommendation for your needs (you saw him 3 months ago, remember?). If you’ve been slacking on your skincare routine, now is the time to start incorporating a stricter regimen. Cleanse, tone, target, and moisturize every morning and night—and don’t forget to exfoliate two or three times a week. If you're planning on supplementing your diet with beauty vitamins, this would be the time to start considering doing so. You can take beauty vitamins or start eating foods for longer, shinier hair. We strictly recommend consulting your physician before incorporating any new supplements into your diet. You'll be wanting to show off your new ring not only during your engagement, but also at your wedding. And don't get us started on all the close-up photos. The best thing you can do is keep them both hydrated by applying oil on your cuticles nightly and moisturizing your hands throughout the day. If you're going to try a new hair color, now's the time to do it. You'll plenty of time to deal should there be a dye disaster. You should also try to avoid drastically changing your haircut past this point for the same reason. Book trims every 8 weeks to keep your ends healthy. We also recommend shampooing less (yes, really) as it dulls and fades your color. Make these appointments on the same day and don't forget to bring any accessories you plan on wearing on the big day (veil, jewelry, etc.) and photos of your dress so you can see your complete look. Also bring as many inspiration photos as possible. For a little fun, plan a date night with your partner to show off your look! Note: If you love your hairstylist and can't imagine anyone else touching your hair, call him the minute you book your venue! Incorporate a weekly deep-conditioning mask to your hair routine from here on out. Your locks will appreciate the extra TLC. You can head to the salon for a deep conditioning treatment or DIY it at home. Plus points for adding a few drops of vitamin E oil into your mask of choice. We know, this one is SO hard, but wine is a massive dehydrator, which can be detrimental to your complexion. If it's too difficult to part ways (we're definitely speaking to ourselves here), at least cut back. Add in some liquefied leafy greens to your diet, too. It is oxygenating and contains vital minerals to help stimulate the lymphatic system and drain out puffiness. If you're considering a faux glow on your big day, book one now to make sure you like the color and technician. You may also find it to be a good idea to book one the week of one of your fittings to determine if you're going to want it to be lighter or darker on your wedding day. Most professional teeth-whitening sessions take more than one appointment. Book your first appointment now, and use an at-home whitening kit after your last session to maintain your pearly whites. You don't want to worry about sensitive teeth on your wedding day by booking a teeth-whitening too close to your date. Treat yourself to a professional manicure every few weeks leading up to your wedding to ensure hands and nails are in tip-top shape. Not only is this a perfect time to nourish your nails, but also to relax your mind. You don't need to tell us twice. Take care of your lips each night by applying a generous coat of lip moisturizer. We love drugstore staples like Aquaphor, Vaseline, and Palmer's Cocoa Butter. You can also gently exfoliate your lips with honey and sugar every few days. This will leave your lips perfect for that first kiss as husband and wife (and all the other ones after that)! Make sure to schedule this way in advance in case your stylist decides on a last minute vacation. Most food and drink stains are easily scrubbed-off in an appointment with your dental hygienist. A teeth cleaning a couple weeks before your day can get your closer to that flawless smile. Keep in mind that anything that will stain a white blouse will stain your teeth, so avoid drinks and foot that stain your teeth in the weeks leading up to your wedding. If you decided against laser hair removal, have your final waxing appointment about 4 days before your wedding to allow enough time for any bumps to settle. Go to your regular aesthetician regardless of how fancy that new spa that just opened sounds. Execute your pre-tested spray-tan plan 2 day before your wedding. Don't spray tan the morning of because most involve bronzer that can rub off on your dress. Your last single lady (or gent) mani/pedi should be scheduled for the day before your wedding. Not only will you want perfect nails for your rehearsal dinner, but you're not going to be patient enough to sit and let the polish properly dry on your wedding morning. Now is the perfect time to use that gift certificate your coworkers got you. A massage the day before your wedding can put you in a relaxing mood for a good night's sleep. Couple's massages highly encouraged. We know you've been sleeping well for the past year (right?! ), but this is the most important night to do. You may want to stay up with your family and friends after all those hilarious toasts at your rehearsal dinner, but you'll regret waking up exhausted on your wedding day. 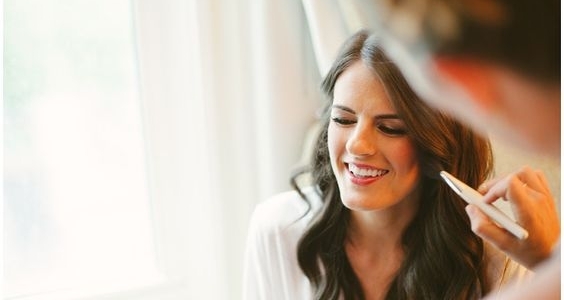 You'll be so happy when you wake up feeling refreshed and ready to marry your best friend! If you don't regularly wear fully contoured makeup and bold lips, down the road, you may regret doing so for your wedding day. Wear a version of your normal makeup, but refine and elevate it.